The National Lottery is concerned about the growth in alternative forms of online gaming where players can bet on the outcomes of national lotteries without purchasing a ticket. It is a concern raised in the findings of a report by Indecon Economic Consultants which looks at the impact of the The National Lottery on jobs, GDP, and good causes. Chief executive of the National Lottery, Dermot Griffin, said, "These operators come in, take bets on lottery games but they don't give to good causes to the same extent that we do". The National Lottery raised €226 million for good causes last year, which along with €450 million in prizes, went back into the community and the economy, he said. In a joint statement lottery betting providers Lottoland and MyLotto24 said Mr Griffin's claims were "unfounded", adding that the Indecon report did not show that their businesses were big enough to undermine traditional lottery sales. 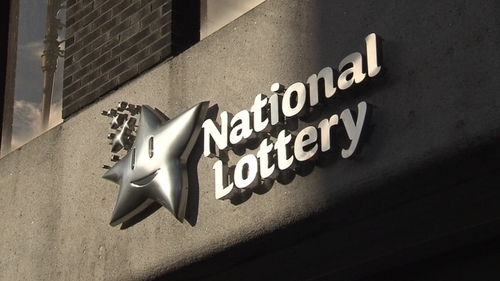 The statement cited a study by economist Jim Power, commissioned by Lottoland and MyLotto24, which said that the three main lottery betting providers had combined sales of €1.4m last year, compared to the National Lottery's €559m. The companies also criticised what they described as "anti-consumer price increases" by the National Lottery and a lack of transparency around the use of unclaimed prizes. According to the Indecon report, for every euro the National Lottery takes in, 56% goes to the prize pool, 28% goes to good causes, and 6% goes in commission to retailers. "I think this report proves that having a national lottery adds huge economic value to the country." People have always had the option to walk into a bookies and bet on a number coming up in the Lotto, but Mr Griffin said these bets are a different type of game. He said the accessibility of online bet-on operators is "much wider than the odd bookie shop" and it does present a particular challenge to The National Lottery. Online and retail Lotto sales are 8% and 92% respectively. "It is important that we get into the online space but we do it in a very responsible way. We have controls in place to make sure we are a responsible operator in the online world." When a person sets up an online account with the National Lottery, they can set their own daily, weekly and monthly limits, and there are maximum spends. "We have warnings to make sure people are aware of their behaviour," Mr Griffin said. "We operate to world lottery standards which are independently audited, so we are very aware of our responsibility, particularly in the online channel." There have been 7 jackpot winners from online, including last Saturday night's jackpot of €6.6 million. The price of the standard two-line ticket with Lotto Plus increased from €5, to €6 in September. It was the second increase in three years since the National Lottery was privatised. A two-line ticket costs €4, but 90% of players also buy the Plus 1 option. "The new structure of the game in terms of percentage of the money going into the prize pool is still the same. We've generated a lot more winners since we introduced the changes, and the amount of money going to good causes is up when you compare the new game to the old game because our overall sales are up." Mr Griffin was asked if there are any plans to further increase the price of a ticket. "We are conscious that the last thing you want to do is increase the price of a ticket." The report by Indecon also found that The National Lottery directly supported more than 17,000 full-time equivalent jobs in Ireland last year, yielding incomes of over half a billion euro. It estimates the direct and indirect impact of the National Lottery on consumer spending last year to be €1.9 billion, with returns to the exchequer of over €100 million euro. According to the report almost €8.8 billion has been returned to the community in National Lottery prize winnings between 1987 and 2017 - that represents over half of National Lottery revenue over that period. €452 million was paid out in prizes last year, representing 56.5 % of sales.